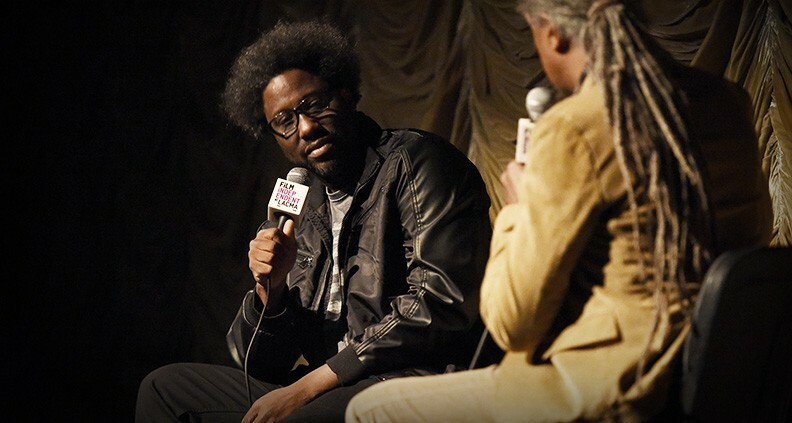 On April 19, W. Kamau Bell—host of the CNN docu-series United Shades of America—stopped by Film Independent at LACMA for a free Members-only screening of the Emmy-winning show’s Season Three premiere. 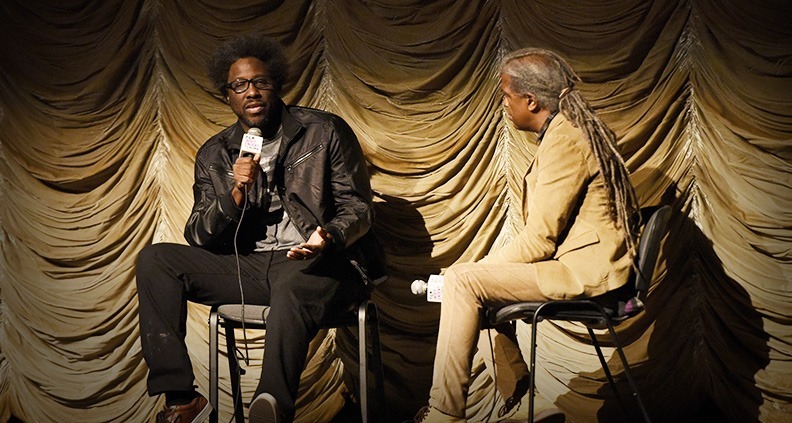 Afterwards, he joined program curator Elvis Mitchell for an in-depth conversation about breaking down the barriers of race and nationality—which of course included a discussion of President Trump’s proposed “Great Wall” along the US/Mexico border. In the episode (airing this Sunday, April 28) Bell travels to the US/Mexico border in Arizona to speak with border patrol officers, activists, engineers, migrants and members of the indigenous Tohono O’odham tribe about all things wall and border-related. Armed with a quick wit, humor and charm, Bell skillfully carries the conversation of race and division in America forward. Bell continued, “If you have better conversations, you become a smarter person. And I think that eventually leads us to joy and love all over the country, eventually, one step at a time.” Having a more rational and well-informed outlook starts with awareness! On engaging with his interview subjects, said Bell: “I’m not there to change the opinion of the people I’m talking to. I’m there to bare witness to the conversation and participate in the conversation, to use jokes and humor and my charm,” he joked. The show, he noted, is about sparking conversations and challenging outlooks—not necessarily changing peoples’ opinions. The next order of business: stand-up. “I went to school and learned how to write papers and essays,” Bell said, likening his comedy to building an argument. “Here’s the premise; here’s how I prove the premise; and here’s the conclusion”—that, along with a handful of more inappropriate bits, all in Bell’s usual fashion. Regarding his influences, Bell said that Anthony Bourdain’s Parts Unknown has inspired him to create more artful content. “I’ll watch the show and five minutes in I’m like, ‘I don’t know where we are, he [Bourdain] hasn’t even been in it yet. What’s going on?’” He added, “There’s still a version [of United Shades] that’s in my soul that I’m aspiring to get to.” But the new season, he says, is closer than ever. “The more I feel myself in [the show] when I watch it and hear my writing in it that sounds like me, the more excited I get,” said Bell. “There were times in the first few seasons where by the time the writing got to me, it was sort of set,” he explained. “I could sort of punch it up, but I couldn’t actually craft it.” These days, it’s crucial for Bell to get to the writing sooner so he can insert his voice more explicitly into the material. Bell is climbing the ranks. No border or wall will stop him. Season Three of United Shades of America premieres this Sunday, April 29 on CNN. Check out Bell’s Twitter for more information. To learn more about Film Independent at LACMA click here. Not a Member yet? Become one today. Film Independent at LACMA is sponsored by Premier Sponsor Audi, Principal Sponsor SHOWTIME®, Promotional Sponsor KCRW, and Official Photographer WireImage.